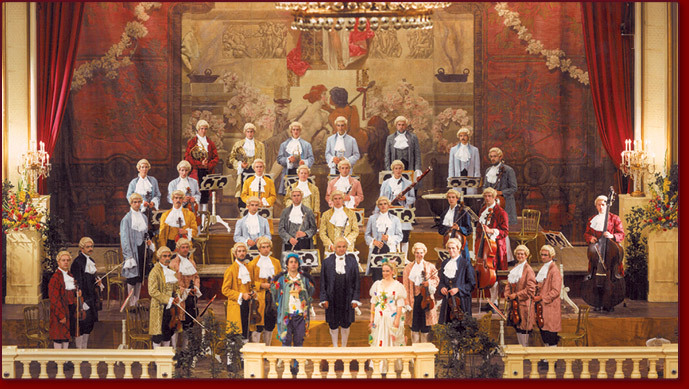 The repertoire of the Vienna Mozart Orchestra includes more than 100 works by the great master of the Viennese classical era Wolfgang Amadeus Mozart. The concerts are performed in the style of 18th century “Musical Academies” at which it was usual to perform single movements from his many symphonies and solo concertos, as well as overtures, arias and duets from his best-known operas. The favorite works by Mozart are performed at every concert!